Regal Prince is the trademark name for Quercus x warei ‘Long’, a narrow, upright hybrid of fastigiate English oak (Quercus robur f. fastigiata) and swamp white oak (Quercus bicolor). Its leaves are clearly intermediate in shape and are glossy and leathery like those of swamp white oak. In Ithaca, Nina Bassuk and Andy Hillman first planted Regal Prince in 2005, and the oaks have performed well there ever since. Our Council’s blog was viewed more than 19,500 times in 2016! Here are the year’s seven most-viewed posts. Some blog posts resonate long past their original publication date date. 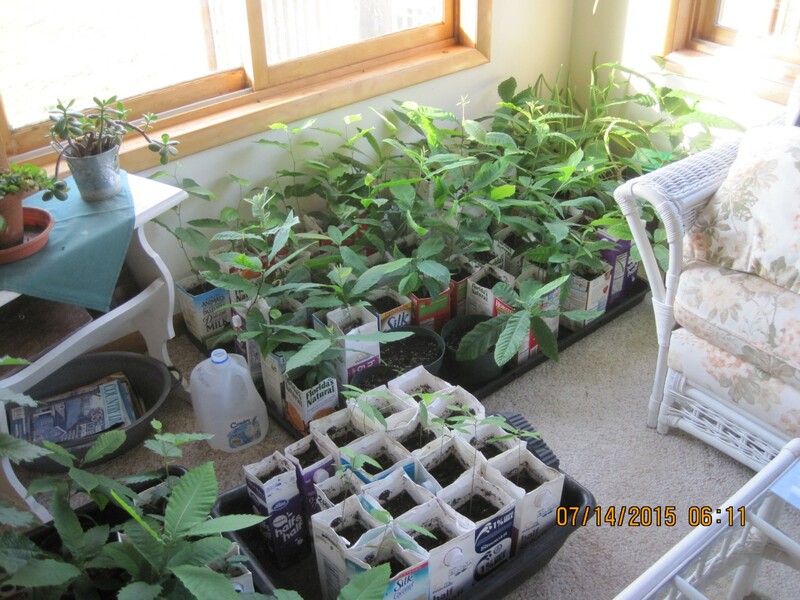 Transplanting and a Deeper Look at “Fall Hazards” was one of the top five posts in 2015 and was the second most viewed post in 2016. Former NYC Director of Street Tree Planting Matt Stephens and Taking Root Editor Michelle Sutton coauthored this story questioning commonly held beliefs about “fall hazards,” mostly as it applies to B&B trees, but they also discuss the interaction of the fall season with other production methods, like bare root. 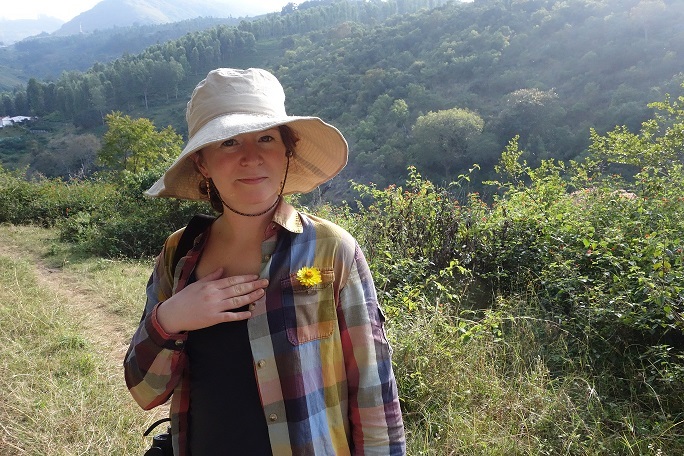 Nina Bassuk helped craft the section called “The Five Branches of Transplanting Success,” which should be of interest to anyone planting trees. 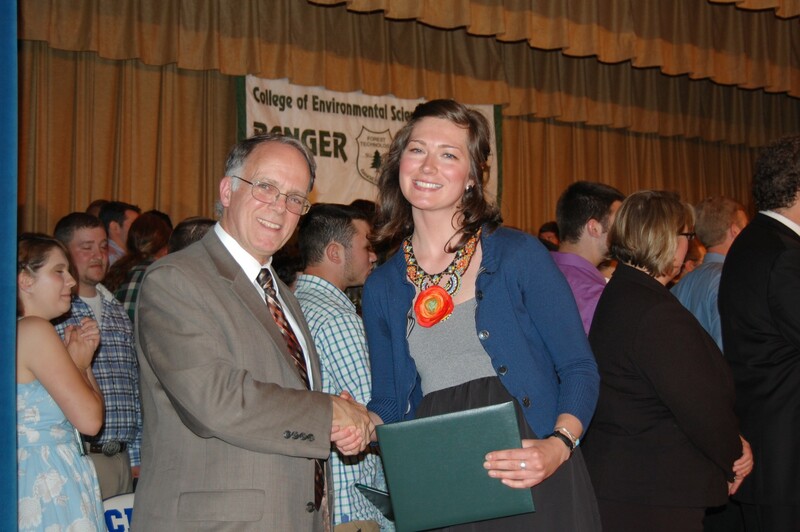 Jennifer Kotary at her SUNY ESF Ranger School graduation. 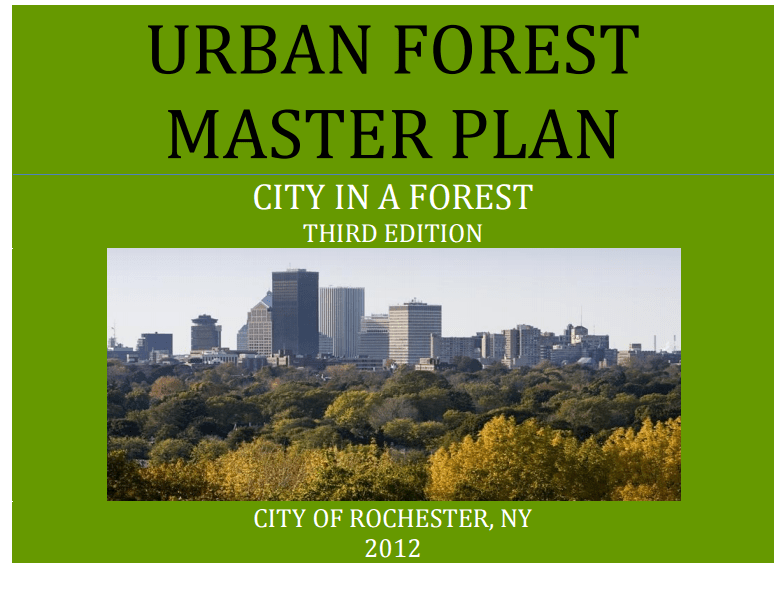 From Scottsville to Long Beach: Urban Forest Master Plans, Management Plans, and Reports introduced blog readers to the growing compendium of Urban Forest plans and reports on the Council’s website. Communities creating or re-envisioning their master plans can survey what’s already been done in New York and use these plans as templates. 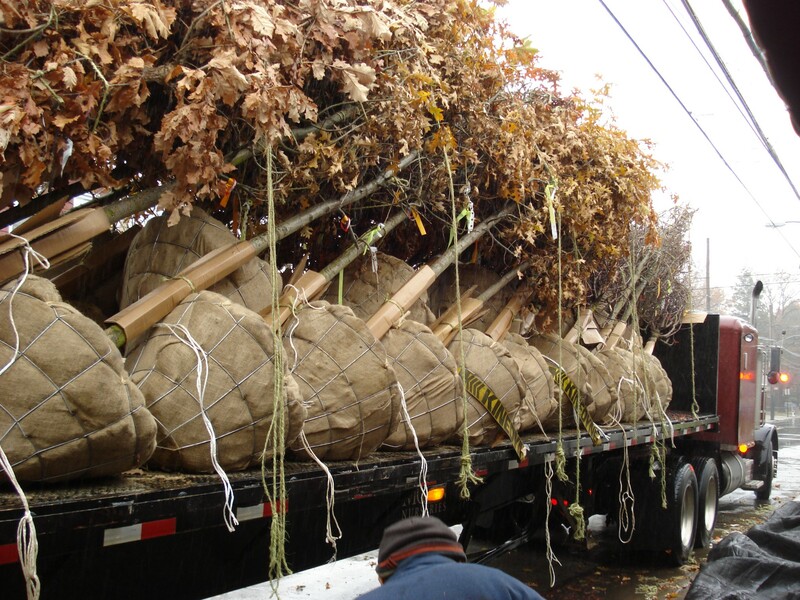 NYS EPF (aka Cost-Share) Urban Forestry Grant funds are available for management plans or master plans, provided these plans include a specific work schedule made up of goals, tasks, and a timeline. Go to link above > Browse > DEC > 2016 Urban and Community Forestry Grants Program (Round 13)- Tree Planting or Tree Maintenance Projects. Zelkova ‘Musashino’ Courtesy J. Frank Schmidt & Son Co.
SMA’s 2016 Urban Tree of the Year: Musashino Zelkova generated a lot of buzz. ‘Musashino’ has been a successful and popular street tree for many more years in Japan, proving itself useful as a narrow, upright form of zelkova. It can tolerate drought and heat and is pH adaptable and pollution tolerant. See a list of all the past SMA Urban Trees of the Year here. 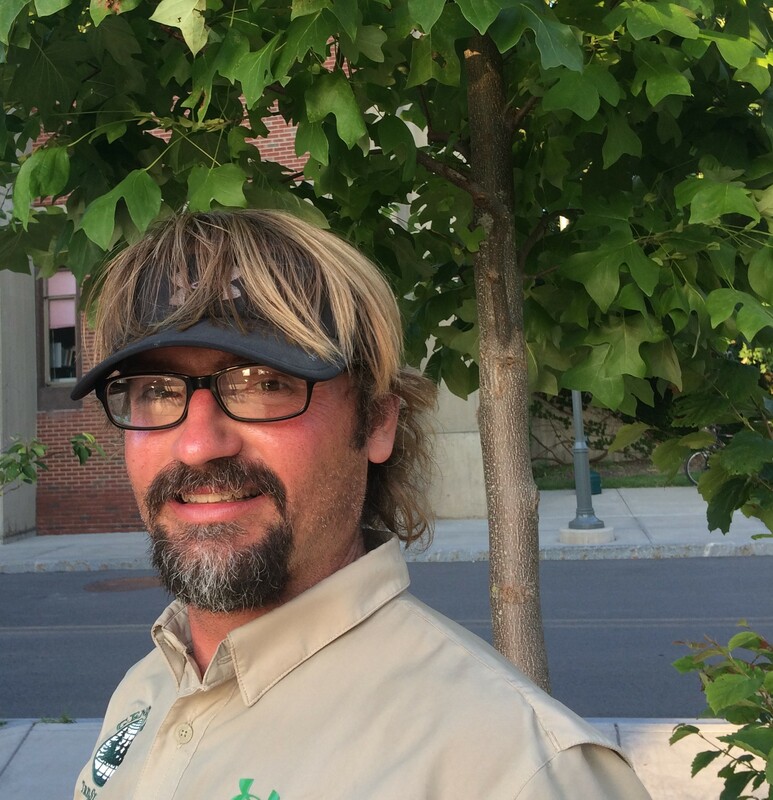 The 2017 Society of Municipal Arborists Urban Tree of the Year is native to much of the Eastern United States. 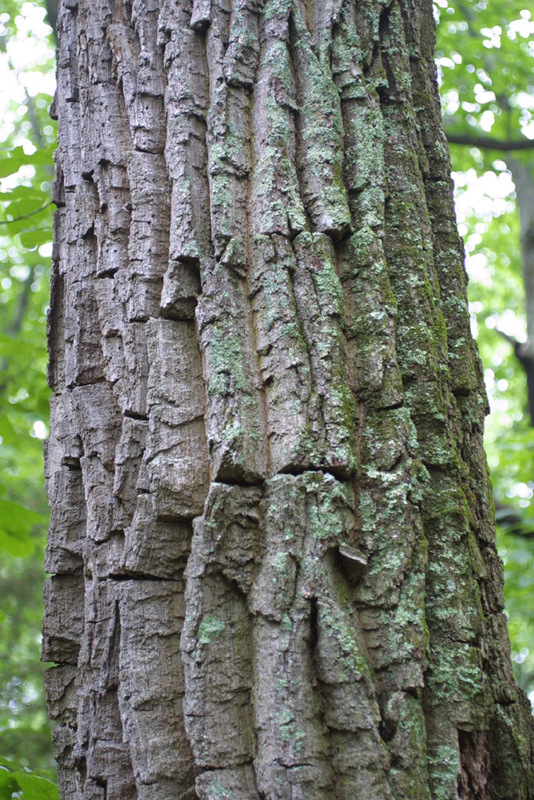 Hikers from New York to Tennessee who ascend to dry ridges will often see the deeply furrowed, blocky barked trunks of chestnut oak (Quercus montana) (syn. Q. prinus). The bark is so distinctive, it may be the only ID feature one needs. 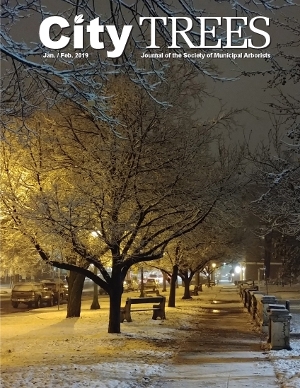 There’s growing interest in using chestnut oak in the urban environment because it is pH-adaptable, handles dry soils and periods of drought, has a beautiful mature form, requires minimal pruning, and tends to be free of major pests and diseases. The common name “chestnut oak” owes to the leaves looking like those of American chestnut (Castanea dentata) and indeed both are members of the beech family, Fagaceae. Other common names for chestnut oak include rock oak, rock chestnut oak, or mountain oak—referring to its customary sighting in dry, rocky soils on ridgetops, where it has a competitive advantage. However, if chestnut oak is open-grown in the moist, well-drained soil that all trees dream about, it will be significantly bigger than its scrappy ridgetop cousins. Typically it reaches 50 to 70 feet (15 to 21 m) tall and almost as wide. It’s hardy in USDA Zones 4 to 8 and prefers full sun. The narrow upright habit of ‘Musashino’ zelkova lends itself to many uses. Photo Courtesy J. Frank Schmidt & Son Co. 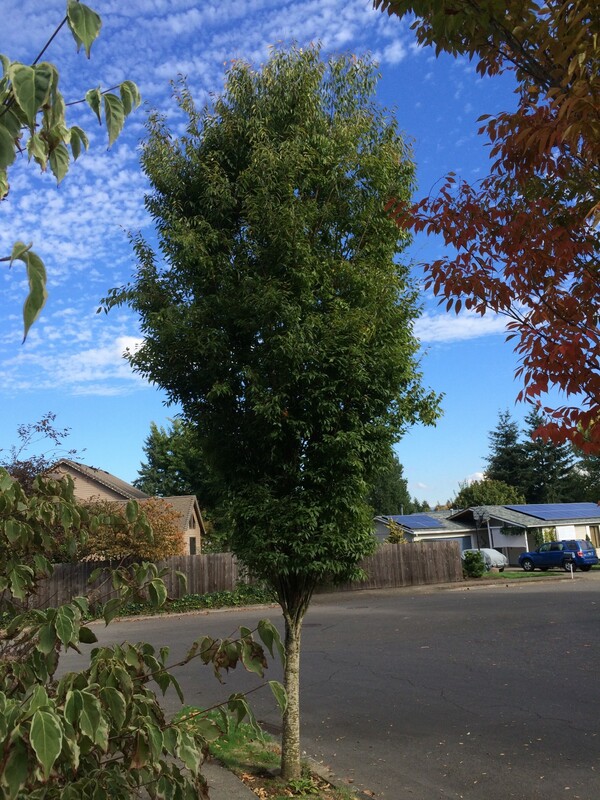 The Society of Municipal Arborists (SMA) has voted Zelkova serrata ‘Musashino’ the 2016 Urban Tree of the Year. The yearly selection must be adaptable to a variety of harsh urban growing conditions and have strong ornamental traits. It is often a species or cultivar considered underutilized by urban foresters. The SMA Urban Tree of the Year program has been running for 20 years, and recent honorees include yellowwood (2015), ‘Vanessa’ parrotia (2014), and live oak (2013). You can see the full list of past winners on the SMA website, www.urban-forestry.com. Zelkovas are native to Japan, Korea, and Taiwan. J. Frank Schmidt & Son Co. introduced Zelkova serrata ‘Musashino’ to the North American nursery trade in 2000. Named after a city in Tokyo (which itself is a city but also a prefecture containing multiple other cities), ‘Musashino’ has been a successful and popular street tree for many more years in Japan, proving itself useful as a narrow, upright form of zelkova. It has the genetic potential to reach 45 feet (14 m) in height and 15 feet (4.6 m) in width at maturity. It is hardy in USDA Zones 5 to 9. … and it’s one that’s close to our hearts, in the sense that the Tree of the Year (TOY) is none other than the one featured in bloom in our blog’s banner up top, yellowwood (Cladrastis kentukea). What serendipity!